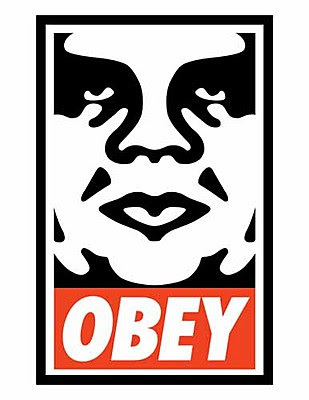 If you live in Boston, you may have seen this face around town in support of artist Shepard Fairey... from small stickers on lamp posts, to posters on buildings, to the giant face on the Institute of Contemporary Art Museum. Fairey's show at the ICA has been one riddled with controversy and press, beginning with his February arrest when he arrived in MA for his Supply and Demand show opening for outstanding illegal graffiti charges. Last week, Fairey's graffiti case came to an end (he agreed to vandalism restrictions and paid a fee) and his show will come to an end August 16. Before the show moves on, Fairey will host and DJ a special event on July 31, Obey Experiment REDUX. 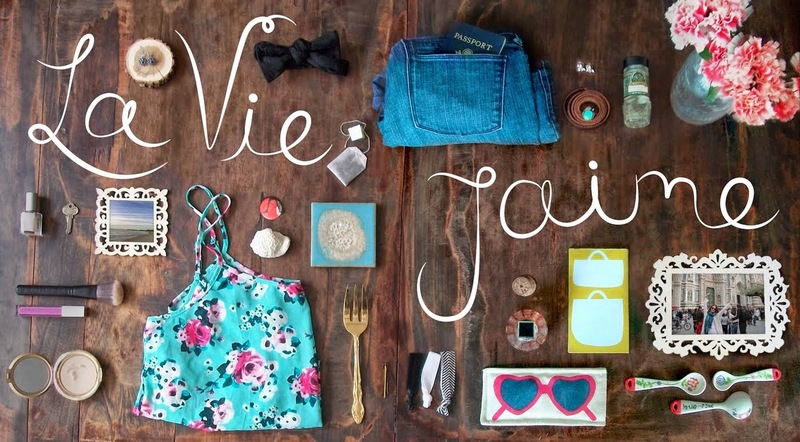 It will consists of art and music at the ICA. It seems like quite an interesting event to end Fairey's run in Boston. I won't be able to attend, as the tickets are sold out and I will be at the Keith Urban concert anyway (! ), but I am curious to hear about it afterwards. I also have yet to check out the show, and with my new downtown office (mere blocks from the museum), I hope to see these few pieces before August 16. 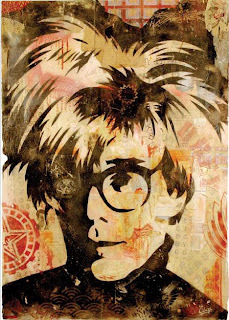 Obey Andy Warhol Stencil, 2004. 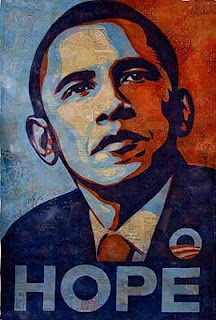 Love this style ~ the Obama poster is iconic! Btw, loooove the sparkly Prada you linked! 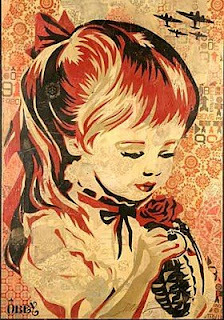 One word about Shepard Fairey, well make that 3,"He's solely ingenious! I wish I could see the show!! !